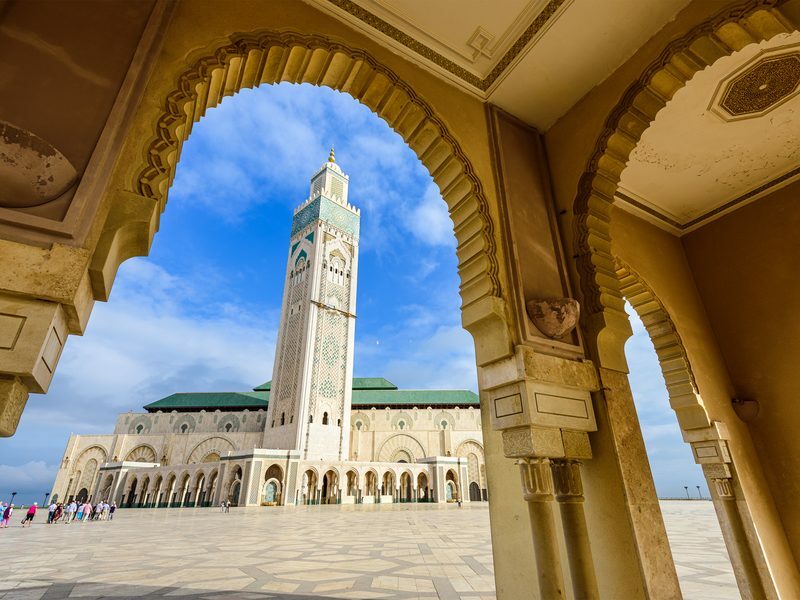 In Rabat we'll see the elaborate marble Mausoleum of Mohammed V and the similarly spectacular Hassan Tower. When we arrive in Fes, we'll relax with a welcome dinner at our riad. 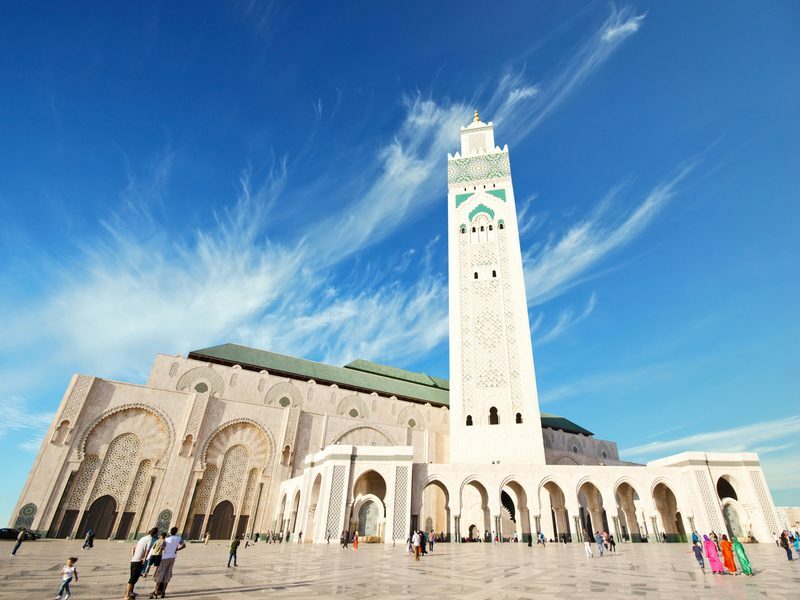 After a stop in the town of Moulay Idriss, which lies in the heart of the olive grove-dotted countryside, we'll make our way to UNESCO World Heritage-listed Meknes. Here, we'll enjoy a group lunch before moving on to our next stop: a wine tasting session. Whistles whetted, we'll move on to Fes, where the evening will be yours to spend as you wish. 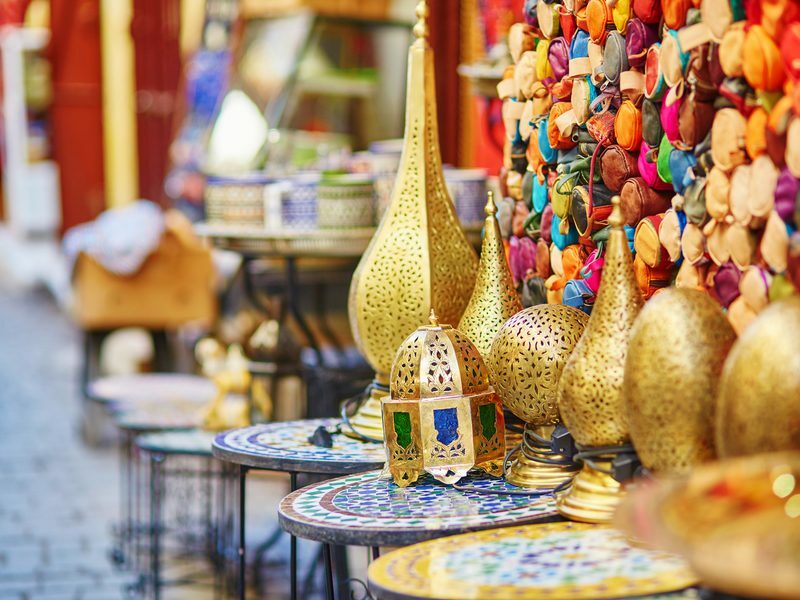 Sightseeing in Fes will come courtesy of a medina walking tour - including a visit to a local bakery, a traditional tannery and a Koranic school. 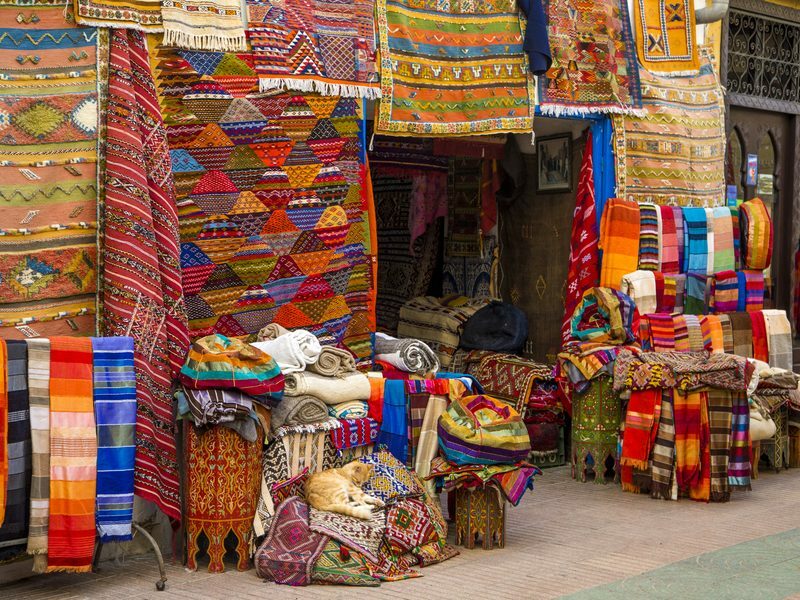 After an included lunch, we'll make a stop at another Moroccan must-see: a carpet cooperative, where Fes' artistic heritage is woven into vivid rugs. We'll sample a mint tea here before moving on to a ceramic cooperative. The rest of the evening will be yours to spend at your leisure. Today we'll move on to Ifrane in the Middle Atlas mountains, driving past lakes and waterfalls along the way. 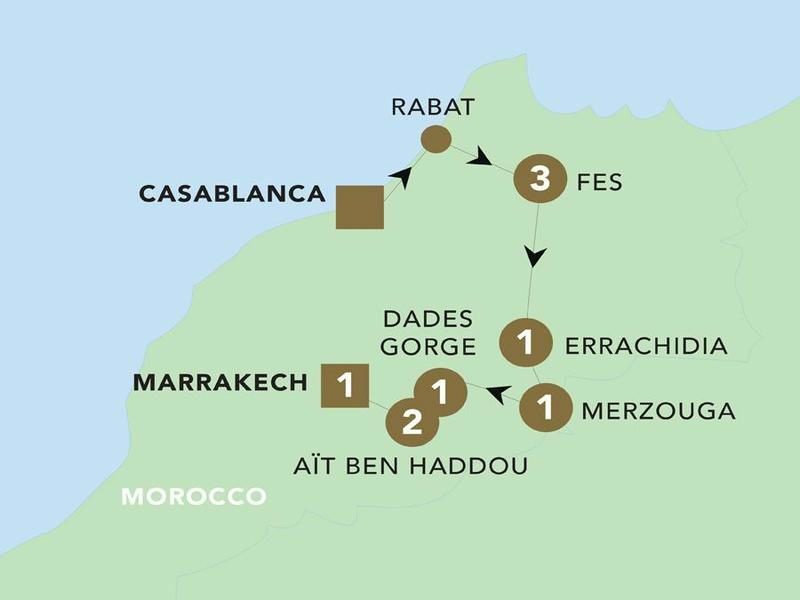 Here, we'll venture into the cedar forest, which is famous for its resident Barbary apes and its panoramic views over the mountain valleys. After an included lunch in Midelt, we'll make tracks to Errachidia - our home for the night. Our first stop today will be Rissani, where we’ll be treated to a walking tour and included lunch. The dish of the day will be madfouna, an oven-cooked local speciality. 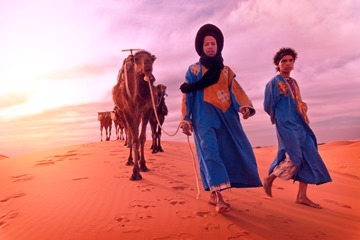 Afterwards, we’ll venture into the desert in a four-wheel drive, where our camp in Merzouga awaits. Ever thought you’d watch the sun rise and set over desert dunes? Well, this is the perfect spot! Tonight’s dinner will come in the form of a Berber feast, complete with a traditional dance display. After breakfast, we’ll move on to the limestone canyons of Todra Gorge, and then on to Tinghir – where we’ll enjoy lunch together. Our final stop of the day will be the dramatic Dadès Gorge, which was carved out by the Dadès River over thousands of years. Cameras full of photographic evidence, we’ll dine together tonight in a local restaurant. En route to Ouarzazate, we’ll make a pit stop at the beautiful rose-strewn fields of Kalaat M’Gouna. After lunching together in Ouarzazate (where Lawrence of Arabia was filmed), we’ll pay a visit to CLA Movie Studios. Then, it’s on to the fortified village of Aït Benhaddou – a UNESCO World Heritage Site – where we’ll rest our heads for the evening. After a leisurely breakfast, we’ll roll up our sleeves for today’s main activity: a cooking class! 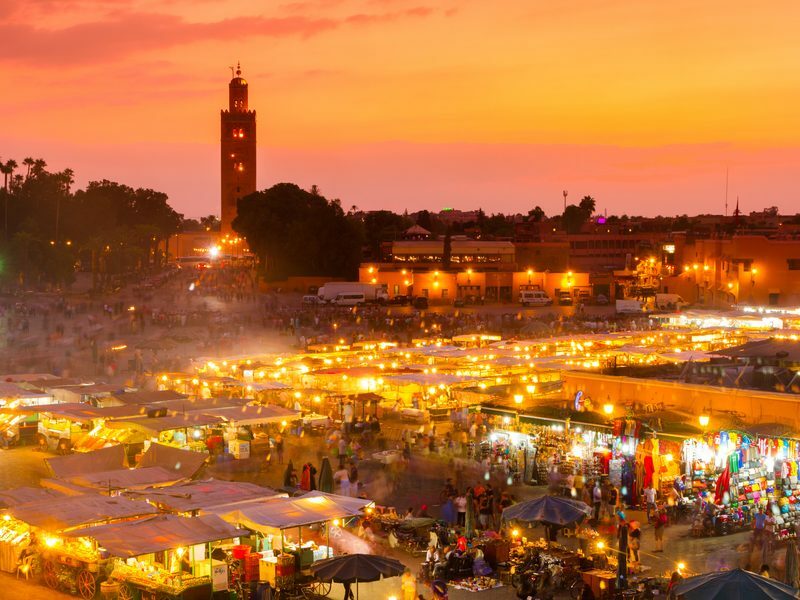 After a local expert has revealed the secrets behind cooking the perfect tagine, we’ll attempt the recipe for ourselves – with a chance to taste the fruits of our labour, of course. The afternoon will be yours to explore Aït Benhaddou at your leisure. This morning, there’s a photo stop at Aït Benhaddou Castle on the cards. Then, it’s onwards to Marrakech via the famous Tizi n’Tichka mountain pass. When we reach our accommodation, it’ll be time to don your finest outfit: we’ll be toasting the end of our adventure with an included dinner at a local restaurant this evening. There’s still plenty of time for a sightseeing tour of Marrakech before we say goodbye this afternoon.